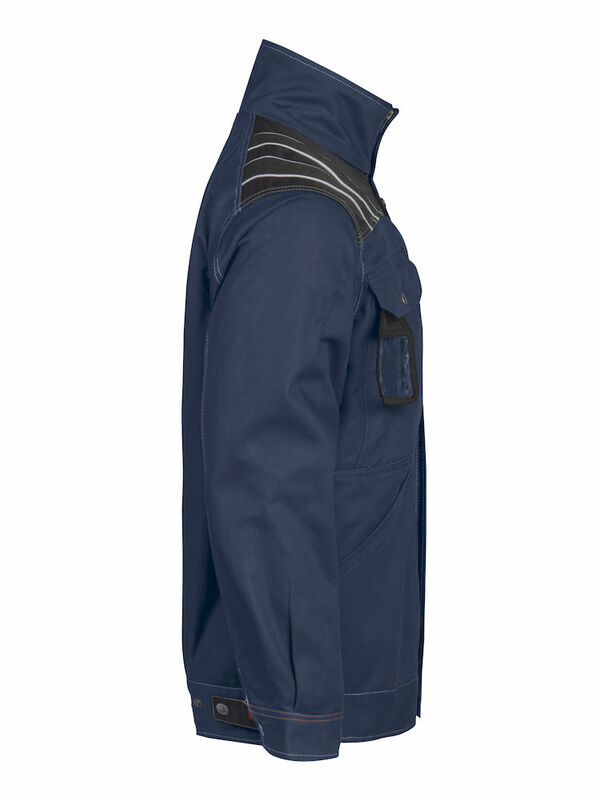 These extreme duty work jackets feature a collar with rushed polyester lining that won't absorb moisture in rain or snow. 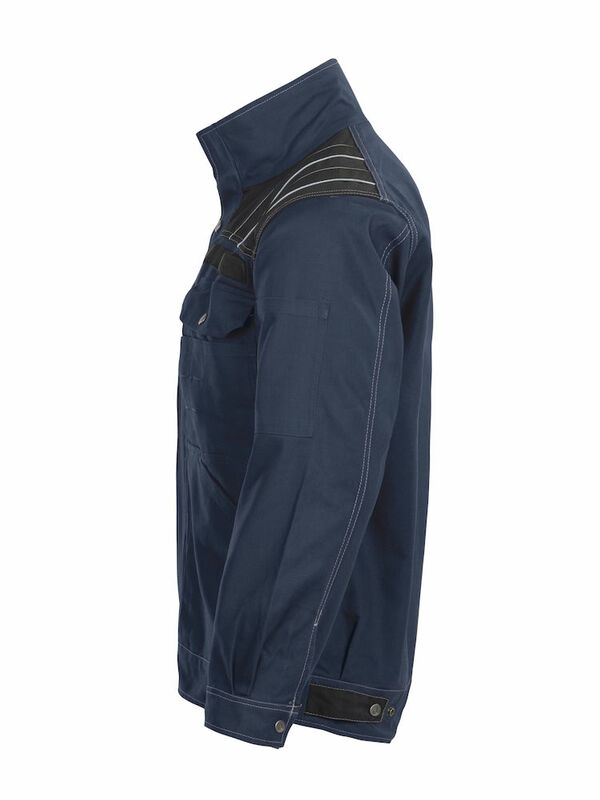 Reinforced shoulders with reflective piping. Breast pockets have inside phone compartment and ID card pouch. Button and knife loop for all new knives on the market. Glove pockets behind breast pockets. Double inner pockets. Pocket on sleeve. Adjustable waist and cuffs. 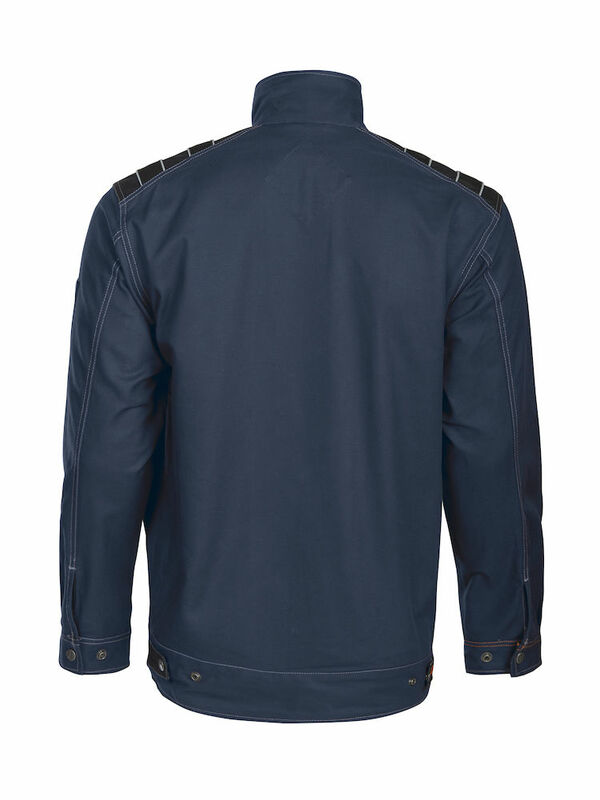 I needed a solid knock around jacket. This jacket is perfect and is now my go to jacket when I'm heading out the door. 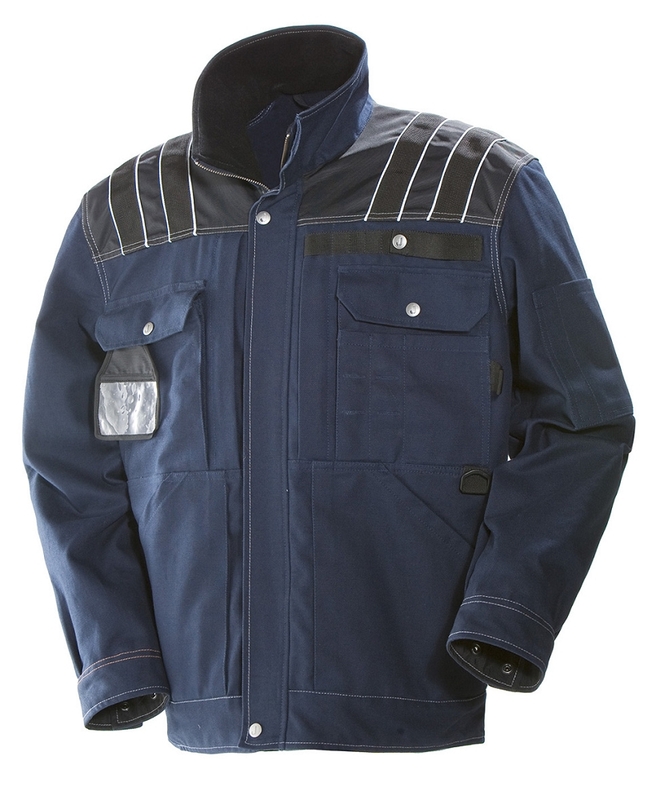 The workmanship is outstanding - far better than other trade jackets I've owned. I got the Large and it fits well (I'm 5'11 and 185 lbs.) All the pockets are great and it's nice that there are zippers and snaps to secure the contents. This is my first Jobman product. I salute Jobman for building a excellent piece of work clothing.